At one time, the blood-sucking ectoparasites known as bedbugs were considered to be a nuisance of the past, with the bedbug population in the United States having dropped dramatically during the mid 20th century. However, the tiny insects have made a comeback in this country, to the extent that the old expression, “Don’t let the bedbugs bite,” does not sound so quaint anymore. The resurgence of bedbugs in the United States in recent years has been aided by three key factors: a generational fall-off in popular awareness of the historical and biological connection between humans and bedbugs; a dramatic increase in international travel that facilitates movement of bedbugs, which are often stowaways in luggage; and resistance to many pesticides often used against bedbugs. The increasingly noticeable presence of bedbugs has triggered a joint statement on bedbug control from the U.S. Centers for Disease Control and Prevention and the U.S. Environmental Protection Agency. As the two agencies would point out, bedbugs can be found in a variety of environments, ranging from single-room-occupancy lodgings to five-star hotels and other public facilities. 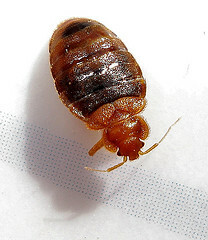 In June of this year alone there have been examples of bedbugs that have caused havoc in, among other notable places, a public library in Detroit, a hospital waiting room in Springfield, Mo., and the state Office of Mental Health building in Albany, N.Y. However, the vast majority of bedbug cases have not been as high-profile as the aforementioned public places and fall under the news radar because they affect Americans in their homes, especially those Americans who reside in apartment buildings. "Bedbugs are very difficult to eradicate, are very hardy insects, and easily spread from one unit to another through common walls," said Gregory J. Brod, a prominent San Francisco attorney who handles many cases for tenants pursuing bedbug-related claims against their landlords. "In order to effectively control an infestation within one unit, a landlord should inspect and treat all adjoining units, which is very expensive and time-consuming." The damages and fees associated with bedbug cases that proceed to litigation can mount substantially. On June 4, a Polk County, Iowa, judge approved a $2.45 million class-action settlement against the operators of two Des Moines apartment buildings whose low-income, disabled tenants endured a major bedbug infestation. "In San Francisco, with the housing market booming, many low-income, fixed-income or disabled tenants may not be getting the attention from landlords that they deserve," Brod said. "These are communities that in many cases are underserved in the face of tenant issues such as bedbug infestations."